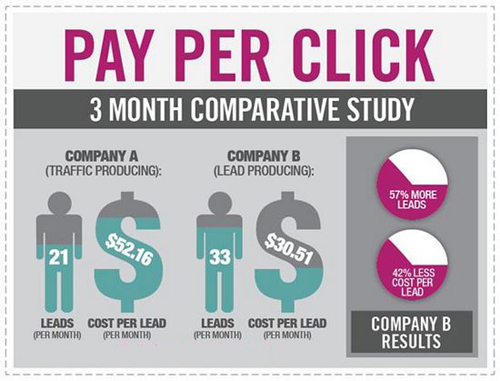 The appearance of PPC (Pay Per Click) adverts have changed significantly in recent years. There is now more of a focus on the top 3 results on Google when compared to performance of PPC adverts ranking 4 and above. In this piece, bravr discuss the recent changes in PPC activity, with a focus on consumer behaviour and the top tips to keep your PPC campaigns providing your organisation with significant ROI’s. In 2011, Google Adwords released a Top vs. Side performance benchmark that shows the difference of performance of adverts within the top 3 listings and following adverts accordingly. In a nut shell, B2B PPC campaigns within the top 3 advert positions converted higher, had a higher CTR (Clickthrough rate) and CPA (Cost Per Action) was subsequently lower. This essentially stays true to the principle that not only do adverts perform better when they rank higher, they also serve target audiences more effectively and result in higher conversion rates. It would seem that a well-placed PPC advert not only performs well, it encourages higher amounts of demand-based traffic to appropriate offerings. 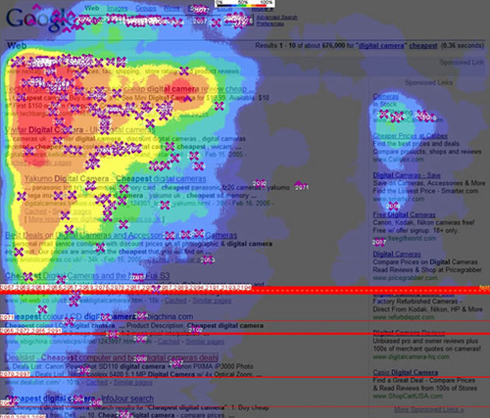 There are only a select amount of adverts or listings one person can view before they reach their desired location. Numerous studies have revealed that there is a “Golden Triangle” of Search Engine Ranking Positions (SERPs). The golden triangle represents the attention that people have for listings on Google; most users do not acknowledge all results. Feedback from studies conclude that users see the top 3 adverts, a few of the natural ‘organic’ listings and not much else. Sitelinks within PPC: Sitelinks are an example of Ad extensions that are in offer to PPC adverts, this increases that amount of options your advert has, as well more general information about the offering. Some ad extensions are only available to the top 3 ads. This is another prime example of the benefits of being placed in top 3 in terms of overall conversion and CTR as ad extensions provide multiple platforms for targeted traffic to engage with your advert. Over time Google have subtly reduced the background colour of top 3 PPC adverts to almost mimic the look of top organic search results. Not only does this act as an advantage to those seeking to be in the top 3 for their listings, but consumer studies have known that people have tended to gravitate largely towards organic search than PPC, but, only when it is significantly noticeable. In other words, Google has changed PPC adverts to look blend in with natural search results, encouraging more of a shift towards PPC click rates, bidding for the top-spots and significant returns to PPC optimised campaigns. How should I go about my PPC campaigns? Despite all the advantages of being placed in the top 3, it isn’t also essential to bid for No.1. It is the experts that use PPC knowledge to account and avoid negative keywords, test ad copy, implement day parting, optimise for longtail keywords and use data from previous campaigns to beat KPI goals. If performance has been poor recently, it would be a wise move to review your PPC position on Google for your adverts and compare to other associated campaigns with placement in the top 3 for performance differences. 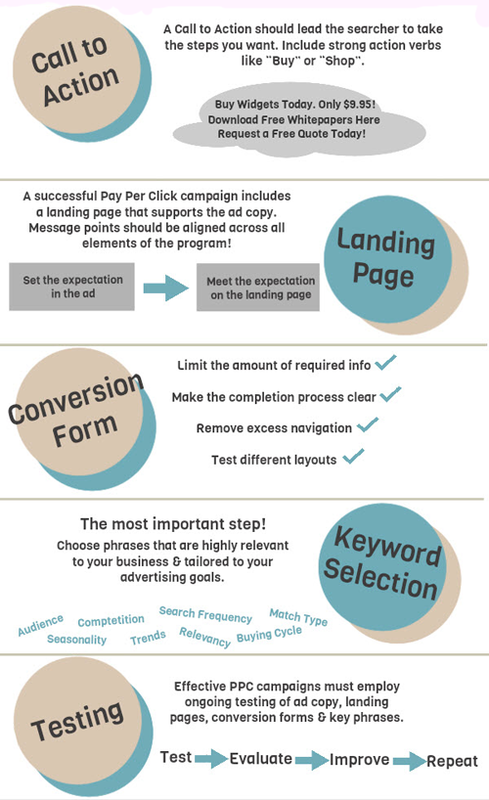 Most importantly, it’s easy to get lost in all the tips and tricks of PPC campaigns and apply multiple techniques to what otherwise would be an effective campaign with the simplest of techniques. It is best to rely on the data that you have accumulated, analyse your competitors and investigate the advantages of higher PPC ad placement for your campaigns. When devising your strategy, it is important to focus on the core statistics that will define the success throughout the duration of PPC campaigns; research shows that lead based campaigns provide lower CPA’s than traffic based campaigns. At Bravr, we have a strong team of PPC experts dedicated to the analysis and campaigning of PPC adverts. All competitors are analysed, budgeting is meticulously planned to maximise the ranking of adverts and overall performance is executed to deliver high CTR’s and conversion rates with low CPA’s. 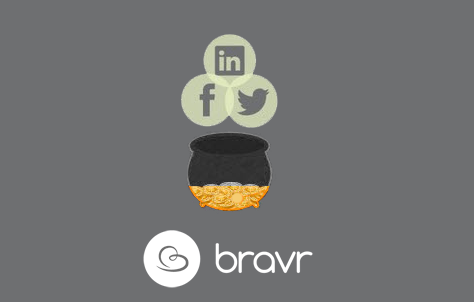 The bravr PPC team also understand the importance of working alongside in-house PPC teams with large organisations, providing the optimum amount of in-house planning with out-sourced execution, with outstanding results. For free consultancy give us a call on: +44 (0) 845 0558 413 alternatively you can email our team on: [email protected]. We would love to discuss your online marketing strategy with you, and your team.